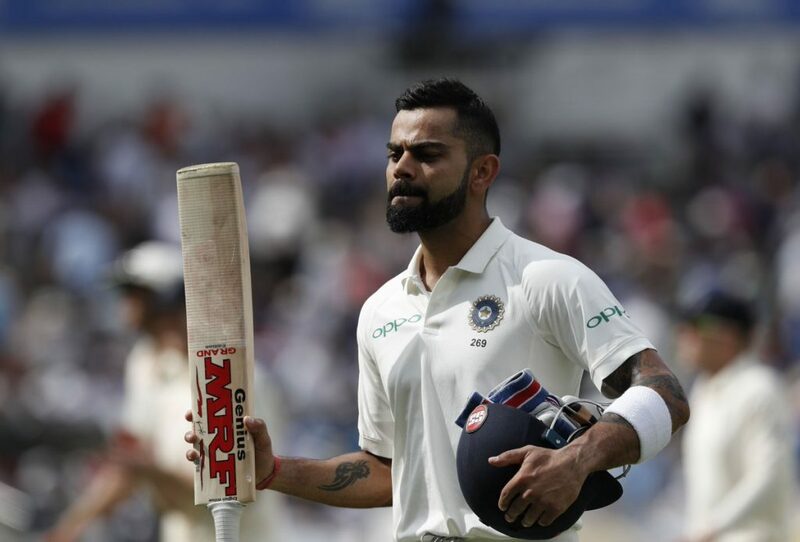 Chasing down the 194-run target to victory in the ongoing first Test against the hosts England at Edgbaston (Birmingham), the visitors India faced another top-order batting disaster, but the skipper Virat Kohli and the wicketkeeper-batsman Dinesh Karthik are fighting tightly as India ended the day 3 on 110/5. On Friday, the day three of the first Test, England began on their overnight score 9/1 with 22 runs lead. 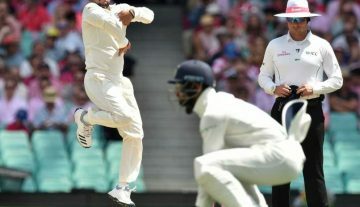 First Indian off-spinner Ravichandran Ashwin dismissed the top-orders and then the tall right-arm Indian pacer Ishant Sharma produced the destructive spell, including three wickets in one over. In result, none of English batsmen reached the 30-run mark, except the young no.8 batsman Sam Curran who played an impressive knock of 63 runs (9 fours and 2 sixes). His innings helped England to score 180 in their second innings as they put a fighting target of 194 runs in front India. In that innings, Sharma ended his bowling figure with 13-0-51-5 while Ashwin had a bowling figure of 21-4-59-3. Another Indian pacer Umesh Yadav (2/20) also picked up two wickets in that innings. Chasing down the target, Indian top-order batting disaster has continued. Apart from the skipper Kohli (43*), none of the Indian batsmen has reached the 20-run mark yet in this innings. After Indian went down to 78/5, including Ashwin’s (13) wicket who was promoted to no.6, Dinesh Karthik joined the crease to give an important support to Kohli from the other side. 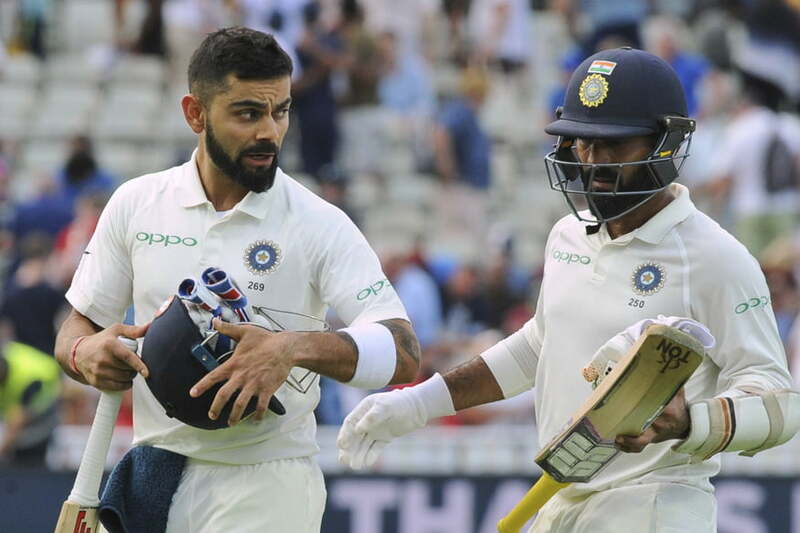 While Kohli again impressed with his responsible batting, Karthik remained not out on 18 at the end of the day and they put a crucial unbroken 32-run partnership for the sixth wicket. At the end of the day, India was batting on 110/5 as they still need to score 84 runs to win the game and have only five wickets in hands. Among the English disciplined bowlers, Stuart Broad (2/29) picked up two wickets while James Anderson (1/33), Ben Stokes (1/25) and Sam Curran (1/17) took one wicket each. After picking up four wickets in India’s first innings, English cricketer Sam Curran scored a crucial 63-run in England’s second innings of this Test match. 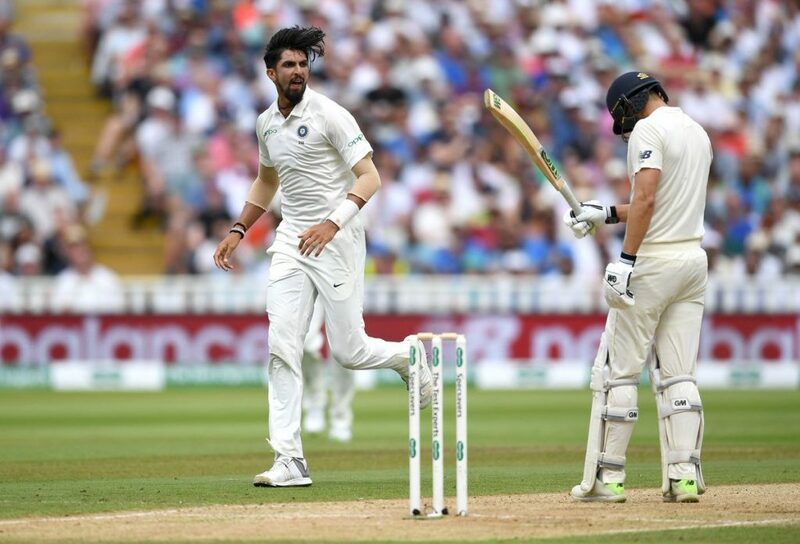 As he began this Test at the age of just 20 years and 59 days, Sam becomes the youngest English cricketer to take a four-wicket haul and also to score at least a half-century in the same Test match. The previous record holder was Ian Botham who had achieved this feat at the age of 22 years and 92 days (age at the start of the Test match). England was bowled out for just 180 runs in their second innings. Lowest completed total in a Test innings for England against India at Edgbaston (Birmingham). The previous record was 203 in 1967. Indian pacer Ishant Sharma had a bowling figure of 13-0-51-5 in the second innings. The second best bowling figure in a Test innings by an Indian bowler at Edgbaston (Birmingham). The record is 24-4-58-6 by Chetan Sharma in 1986.